Recovering from an addiction is not just about getting sober. It’s also about reclaiming your life and relearning how to live without the aid of alcohol. Some people manage to accomplish this task on their own, some with the support of loved ones, and some with the unwavering assistance of a canine companion. If you are working on recovering from an alcohol addiction, there are a few reasons you may want to stop by your local animal shelter. One of the best ways to ensure that your mood stays uplifted and any symptoms of mental illness stay at bay is by exercising regularly. Consistent exercise allows beneficial endorphins to keep your mental state stable, help you fend off any dangerous depression, and motivate you to maintain physical fitness. A dog requires regular walks and playtime each day, forcing you to get moving even on the days you don’t want to. Furthermore, dogs make getting active fun with their playful antics and general enthusiasm. When you live alone, it can be depressing to come home to an empty house. For most people, this is manageable. For people overcoming addiction, solitude and depression can be a recipe for relapse. With a dog at home, you never will be completely isolated. The dog will be there to greet you and spend time with you, reducing the risk of relapse. You may even feel guilty if you relapse with your dog’s trusting gaze watching your every move. When you have an animal that loves you and relies on you for necessities like food, water, exercise, and access to the outdoors, it becomes harder to contemplate relapsing. If you had to leave for rehab again, your dog wouldn’t understand why you left her. If you relapsed to the point of not remembering anything, you could be at risk for injuring your dog, forgetting to feed her, or other such damages. Knowing your dog relies on you can make sobriety far easier. When you are out with your dog, people want to stop and say hi, especially when you have a cute or friendly-looking dog. This opens you up to friendships and human interaction regardless of your circumstances. 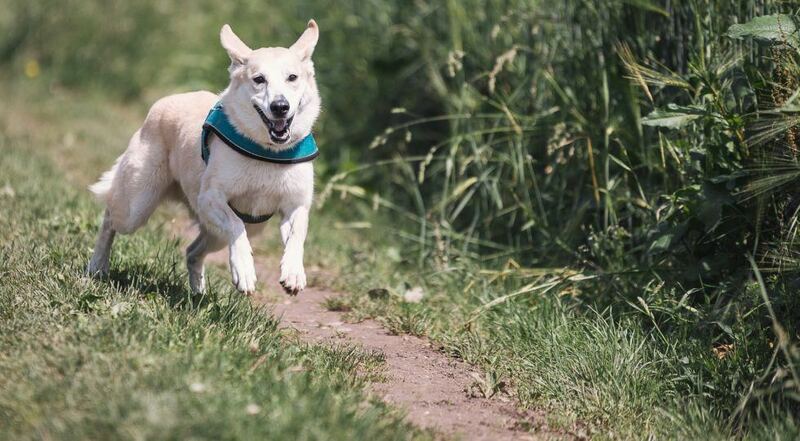 Even if you only are able to take a weekly trip to the dog park, you will find people to chat with, and you can relax because you know you have at least one common connection: dogs. By owning a dog, you are opening yourself up to all the dog-centric events in your area, many of which either will be alcohol-free or offer limited availability of alcohol. It’s difficult for an activity to be centered on alcohol when its focus is celebrating dogs and families. Dogs have a number of wonderful benefits for their owners, regardless of life circumstances. However, it also is important to remember that quality dog care gets pricey, particularly with bigger dogs. High-quality foods, vet visits, toys, and other necessary gear can make for quite the expenditure. But, if you have the funds to do so, visit a shelter. Your new, sober life with a new furry best friend might be waiting.